I contacted one of my old high school English teachers about interviewing me for the high school paper, et voilà! If you’ve ever wanted to be impressed by how unlimited the future is in terms of possible career choices and paths in life, consider the writer of the book, The Starriest Summer, who is a graduate of Armijo herself. 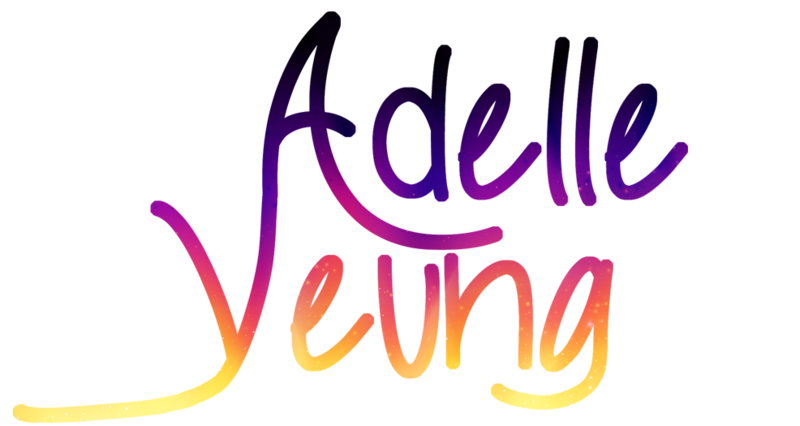 She goes by the pseudonym Adelle Yeung and not only wrote the adventure that is the first of The Cycle of Six Moons trilogy, but also self-published it. This concept is incredibly contemporary, and most elements of the book like characterization and themes are, too. The story is told in the first person by the main character, Michelle, who enters – or crashes – into a videogame world created by her brother. Unbeknownst to them both, she would find difficulty saving and quitting before any of it was over. While exploring the land of Starrs, however, Michelle found the exact opposite of problems and spent a lot of time being goddess of a gorgeous world with good food to match. Unless you aren’t much of a social creature, Michelle’s personality should feel pretty familiar, as she is the type you’ve either met, experienced, or she is you. She goes around the land – responsibility pretty much a foreign concept – joking, laughing, and touching everything she sees. The book reads as about as easygoing as Michelle is as a character, and it helps that she has a variety of convenient characters to help her while she fi gures her way through the situation she believes is a game for a majority of the book. All in all, the book is a perfect introduction to the feel-good series that should all be released by the end of this year. Yeung is not too far removed from her target audience and she doesn’t want her readers to be too far from her characters, either. “It won’t be just, you know ,a classical fantasy. It would be something with a main character, somebody you might actually know,” she said. Mrs. Linda McCarthy was her freshman English teacher and she had hosted a Writer’s Club. As a member, Yeung was able to get some feedback and her novel developed more there. The book was dedicated to Mrs. McCarthy, who has since retired and moved to New York. Yeung wants readers to enjoy her book on the surface. “Deep down, if you look at the themes, the plot and the characters, they are just fun. There are some descriptions, especially about the voices that I developed through voice acting,” another career outlet for Yeung. Listen to the whole 16-minute interview here! Sophia: I kinda really wanted to ask where you got, first of all, the idea for this book? ‘Cause it’s really current. Adelle: I wrote it over ten years ago when I was thirteen. It all started when I was on a road trip to Disneyland. I just thought, what would it be like if… You know, in video games, you’re always saving the princess, so I wanted to be like, “What if you had to safe a prince instead?” That was the main thing the story evolved from. Over the past thirteen years when I was writing it, I… I play video games, I read young adult stuff, I just wanted it to be something that the young adult audience could relate to, and won’t be just, like, classical fantasy. The main character’s somebody you might actually know. S: Did anything from this school specifically push you to write it? A: Back in when I was ninth grade, Mrs. McCarty was here, and she did the writer’s club. I was in her English class in ninth grade, and she mentioned that she had a writer’s group after school, and I was like, “Oh, how cool! I’m gonna join that.” So I did. I made friends. Everybody contributed their feedback and helped the story grow. The support was really great, because without it, I might not have continued with it. I think that was the main influence. I also dedicated it to Mrs. McCarty. S: What do you want your readers to take away from this book? A: First of all, I want them to have fun with it. I want them to enjoy the story and the characters and the world and the adventure. But, deep down, when it comes to themes… You’re an IB student, you have a lot of pressure on you to succeed. A: Yeah. Your life is your own. People have expectations of you, but in the end, if you realize, maybe IB isn’t really your thing, you can always take another path, and things might not go the way you want to, but they might. It’s your own life, and you can shape it however you want to. S: Is most of it based on what you experienced through school? And finding your own way? It says on the back of the book that you do voice acting. Is the book kinda based on how you found your way through schooling and doing what you want to? A: I guess, deep down, if you look at the themes, otherwise, the plot and characters are kinda just for fun. There are some descriptions, especially about the voices that I developed through voice acting. Like how somebody would say something, and it would come to my mind, and I’d write it that way. S: It’s a trilogy, so there’s gonna be two more books? S: Do you already have those planned out? S: You know where you want it to go? A: Yup. They’re already written. The second one is going to be released on March 25 this year. The third book is sometime later this year, I’m not sure when. I still have to polish that one up a little bit more, but yeah, they’re pretty much ready to go. Everything’s written. S: A lot of my friends, when I introduce this book to them—‘cause I’m like, “Yeah, I’m setting up an interview with the author of the book, and she came from here,” and they’re mostly really questioning how you became an author, coming from here, because they’re all thinking about being really practical jobs, especially with the IB program and pressure. So they’re like, whoa, she’s an author, and she’s not even full time, she’s also a voice actress. A: I think a lot of it has to do with self-awareness. Like, I went to college to pursue fashion design, but the classes were ridiculously hard to get into, so I just went off to the practical side, which was psychology. And I find it incredibly fascinating, going into the minds of people. It’s fascinating, but it’s not something I want to pursue as a job. My passion has always been with creating stories and characters and making stuff up. …Where was I going with this? What was the question again? S: When did you decide you wanted to do this instead of anything else? A: Yeah. So, I take that to heart, and I try to live by it, because I don’t want to grow old, and I regret not having pursued my passions. So, yeah, I’m trying to get it all done. S: Wasn’t that difficult? Did you have any problems just doing what you wanted to do? A: The book is indie. It’s self-published. I tried to go the traditional route through querying literary agents, but they’re very specific about what they want. They don’t really take risks on people who don’t have a proven platform. Do you know who John Green is? A: Yeah. So of course, somebody’s going to take him because he already has somebody that he can sell it to. But with me, I’m just like, “Eh, I have voice acting videos on YouTube?” They’re just like, “Whatever. We’re not going to take a chance on you with that.” But, once I decided to self-publish… I had a huge stigma against self-publishing when I was young. I was like, “Oh, I don’t want to do that, that’s the easy way out.” And then I read more about it. Nowadays, people are self-publishing. They do a lot of work. They’re doing their own marketing and, even if you did get a big publisher, a lot of the times—unless you have a huge advance—they’re not going to spend the money marketing you. You have to do that yourself. So, so far, it’s been pretty fun doing it. I mean, I have creative friends. My friend did the cover art. I have a network of people that I can utilize to help me bring this book to fruition. S: I was surprised by that, because Ms. Herring told me that you had gone and wrote this book, but my friends and I were like, “What? Who published it?” And we were looking around the book to see what happened. And then we noticed, yeah, the cover art is really good compared to a lot of the books out there. And we were like, “This is really creative and really different.” So we were trying to look for it, and we noticed it was commissioned off DeviantArt, and that’s something we all know about. S: Everything about it, even the general idea of you being a self-published person from Armijo, and you have all this creative liberty, was really relatable to a lot of my friends. A: Awesome. I’m glad that could be inspiring… or something. S: Do you have anything else? Ms. Herring: Do you have more about her experiences here at Armijo? S: Writer’s club. Do you think we should bring that back? A: I DO. It was the most amazing time here, I had. I did theater as well, but, writer’s club, I felt that really shaped who I was as a writer, and a person, and I made really good friends there. I think it’s great. It helps people shape what they want to do. S: Do you have any advice for anyone who’s currently in high school? You seem really self-motivated. You do a lot of things by yourself, like self-publishing, so do you have any advice? S: You talk about non-conformity a lot. Do any of the characters follow what you do? A: I guess the main character, just because everybody expects her to be this ethereal, perfect creature, and she’s just like, “Omigod, video games!” She’s using her knowledge of video games to try to save the world. I think she’s kind of the biggest non-conformist of the characters. But then there’s Jayse, and he’s like, “I don’t wanna be crown prince…” I guess they all do in kind of a little way. A: I wouldn’t say that. “Write what you know.” There are things that I haven’t experienced that I can’t write about, and a lot of the stuff that does happen is from my imagination. When it comes to the characters’ core values, that’s kind of what I’ve been through, and what I believe in…or…not. S: The world you built is really complex. Is there anything you’ve written that has significant meaning to you? A: You know the part with the bonfire scene with Jayse. That was totally me. I feel like I’ve grown up from that, and I know what I’m doing with my life. …I think I know what I’m doing with my life. Okay, my older sister, she’s brilliant, she’s a math professor over at Indiana, some private college. She’s the youngest, only female staff member in the math department. And my parents are like, “Oh, she’s so smart! Oh, look at her! We’re so proud of her.” And I’m just like, “Yeah. Here I am, the middle child who writes books.” A lot of that came from me. I didn’t even realize it at the time. I was just writing, and afterward, I took a step back, and I was like, “Oh, that’s totally me.” As for the world? In my head, Starrs is just this beautiful landscape. When I’m on car rides, I like to stare at the passing scenery. Like when you’re driving down to So Cal, and there are all these hills, and the orange trees. And then you go to Santa Cruz, and there are the mountains and the forest. I think it’s awesome, the beauty of the world. S: Is that part of your method? Take from what you know? A: Kind of. Mostly. And then Google comes in handy when I’m like, “What is this thing called?” I go to Google and do some research, and I’m like, “Oh that’s what that looks like.” Or if I have a picture of something I’m not really familiar with that I want to describe better, then, yeah, Google Images. S: Do you have a specific method when you’re writing? S: Do you have a specific style or something that you want the readers to take away about you? A: Some of my favorite descriptions are about the food. A long time ago, I was reading something about the greatest fantasy worlds. One of them brought up Narnia and how there were always descriptions of food. I was like eleven when I read the article, and I was like, “I’m going to write descriptions about food!” So, I like food. I like the smell of texture of food. I like describing food. So, I dunno. People should eat. …That sounds so dumb. S: I think you take from life a lot, and just reading something like made you immediately put it into your work, and the food on Arriscyal sounds great. Ms. Herring: I don’t have any other questions. S: Yeah, I don’t really either. Ms. Herring: Kinda covered a lot of stuff there. S: I had no focus when I was writing. I was honestly really interested in how you came about writing this and a lot of the ideas in it. Partially, because I’m in IB English right now, and we’re studying really in-depth works. But it’s really interesting, because we’re studying stuff like Gatsby, where everything means something, but you’re like, “Oh. I want my readers to have fun.” It’s really fun. I like it. Check out the Armijo Signal’s other monthly issues here! Next ›An Eclipsing Autumn Cover Reveal!